The exceptional body of works preserved in The Estorick collection of modern Italian art makes of this relatively small gallery, a Georgian house in Canonbury Square, Islington, one of the leading centres for 20th Century Italian art. 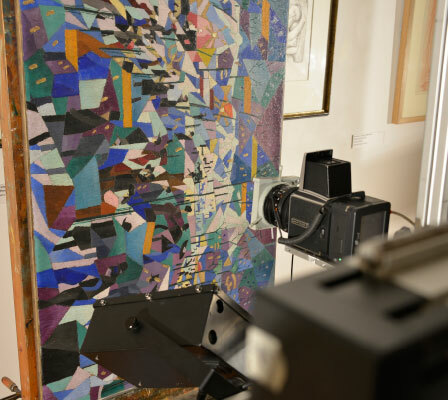 A groundbreaking exhibition presenting the findings of a team of restores, art historians and scientists who have analysed part of the collection, titled More than meets the eye – New research on the Estorick collection, is on until December 20th. We spoke with Roberta Cremoncini, Director of the Estorick Collection with Mattia Patti, the co-curator of the exhibition. Serena Braida: The exhibition was born within the project FUTURHAMA (From Futurism to Classicism (1910-1922) – Research, Art History and Material Analysis, a three-year multi-disciplinary research funded by the Italian Ministry of University and Research. How and when did this collaboration started? Roberta Cremoncini: The collaboration started in 2012, during a London study led by MOLAB, the mobile facility for in situ non-invasive measurements, part of the European project CHARISMA. 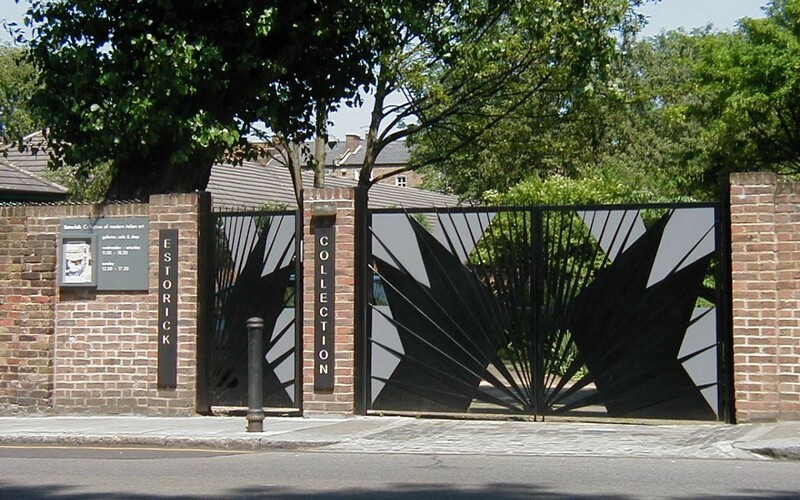 On that occasion the idea of conducting an extensive, non-invasive research on the extraordinary Estorick collection was proposed for the first time. 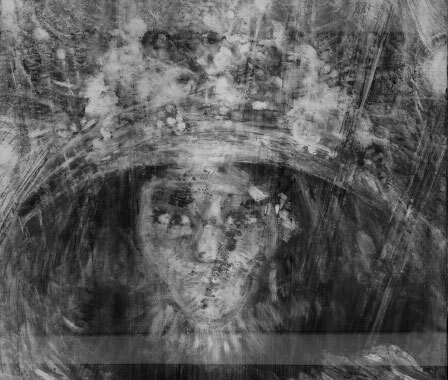 SB: The paintings were examined using major non-invasive diagnostic tools, like Multispectral Infrared Reflectography, X-ray imaging, and carbon dating in the case of Boccioni’s Modern Idol. Can you tell us more about the analytical protocols sustaining this research? RC: The analytical protocol is the result of a long research activity on artworks, and specifically painting, conducted in several research facilities like the Opificio delle Pietre Dure restoration laboratory, the CNR-INO (National Institute of Optics), both in Florence, and the SMAArt Centre in Perugia, which are all part of the FUTURHAMA project. Non-invasive techniques and cutting edge equipment are employed. The first step is to use imaging techniques (Ultraviolet fluorescence, Infrared Reflectography and X-ray) in order to gain an understanding of the entire painted surface and how it has been realised. The results of this first diagnosis allow us to then focus on the specifics in the making of the artworks. 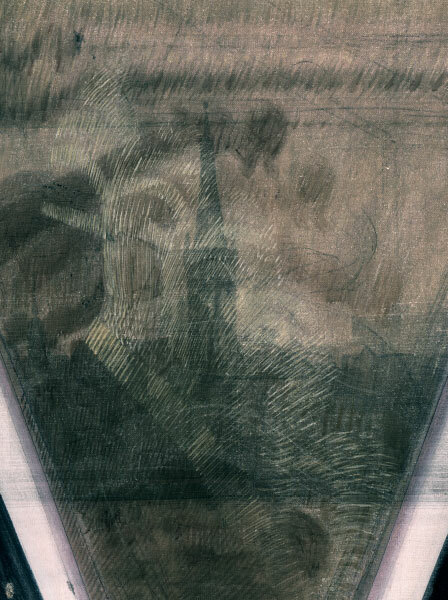 SB: The examinations led to some extraordinary findings, among which the discovery of a completely different scene underneath Balla’s Hand of the violinist, but also the fascinating analysis of the wooden panel used by Boccioni for Modern Idol. How is scientific advancement contributing to our understanding of 20th century art? RC: The employed techniques allow us to acquire crucial information. From the art historian point of you something extraordinary unfolds in this kind of research: we don’t only interpret an existing artefact, we produce a new one, which wasn’t there before. It is often thought that we know everything about 20th century art, because it’s very close to us. That is not true: many mysteries hide underneath modern masterpieces’ surfaces, and scientific analyses help us to better understand many new and important aspects of the works we love and think we know everything about. SB: The exhibition is a fascinating balance of technical insight, scientific research and historical inquiry. What would you say is the predominant theme, or constitutes the core experience for the viewer? RC: This exhibition is the result of a close collaboration between the Estorick Collection, which has been promoting ongoing research on the collected works, and the FUTURHAMA research team; the crucial aspect of the exhibition is exactly the integration of different experiences and points of view. The artworks, unveiled through research analysis, are now readable in new, different ways. SB: What selecting criteria have been used for choosing the paintings to analyse? RC: The research involved paintings from early 20th century avant-garde, with a focus on Futurist production between 1910 and 1912. The core collection of Futurist works in the Estorick is one of the most important in the world, for the quality of the paintings themselves and for their historical relevance. SB: This exhibition addresses not only how a painting has been created, but also the history and topography of its preservation. The viewer physically encounters multiple levels of informations and impressions, from viewing the artworks “as if under a microscope” to reflecting about aesthetics. Do you think this kind of multi-media exhibition requires a different, deeper gaze on the viewer’s part? RC: Artworks are objects before being images, they are bodies with a thickness, a weight, a skin. A painting’s surface can reflect or absorb light, it can dazzle us, bursting before our eyes into a thousand colours. Or, in the other direction, it can marry with the walls, harmonious, and blend with the surrounding space. The “physical encounter” with the artworks comes first, before any aesthetic appreciation, any critical thinking. It is in this sense that More than Meets the Eye stimulates a new reading of the works in the collection. Seeing the painting outside their own frames, or with X-rays shedding light on their “skeleton”, can help acquire a new point of view.